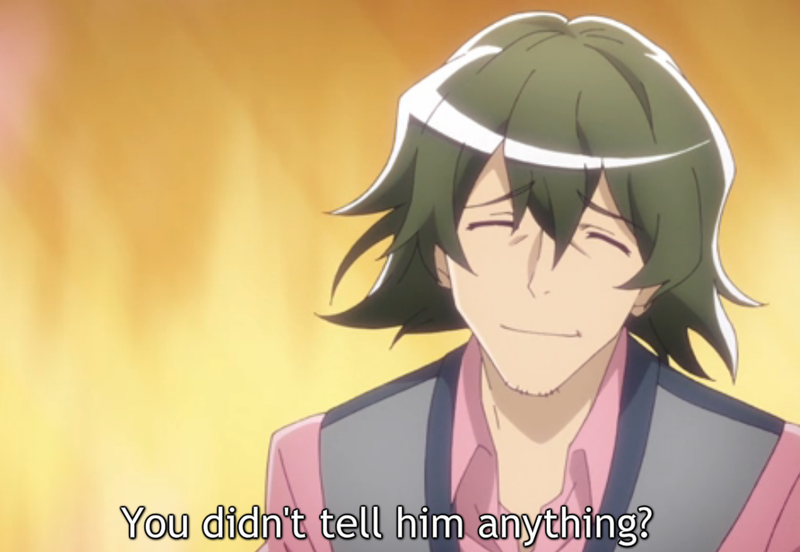 I Blog Anime: Plastic Memories: I F***ing knew it. I knew. I just knew it. This show is the definition of an emotional roller coaster. It took me this long just to work up the gumption to try episode 2, and even then, it was only because a lot of the previous seasons anime are drying up, so I knew I'd need to find something to produce potential posts out of. I had this on the list, and figured, yeah. This will do nicely. THERE IS NOTHING NICE OR KIND ABOUT THIS SHOW. This show will hurt you. Then it will keep on hurting you. I knew they were going to say what they said this episode eventually, and yet I came back just to let them re-attach me, and then stab me in the heart. So yeah. I've come back to say that if by some miracle anyone was expecting an End post about this one, you won't get it, at least not from me. I doubt I'll have this finished anytime soon. Read that as, within maybe years. Maybe years. Good show! Great Show so far! Hurts too much to talk about it. That's all folks. I'm going to go and beat some stuff up in Dark Souls 2 and get murdered a bunch. That feels better than letting this show touch my emotions again for a month.